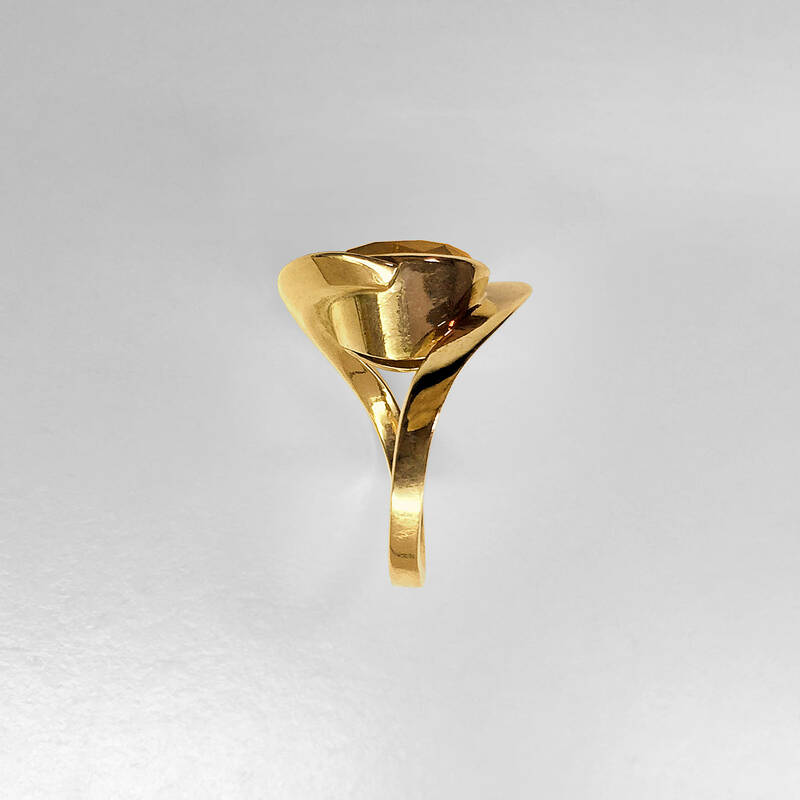 This 14K yellow gold extra heavy handmade ring is designed and executed like a mini sculpture. Its beautiful circular architectural feel reminds us of the interior of NYC's Guggenheim Art Museum with its curved ramp ways and spiral design. 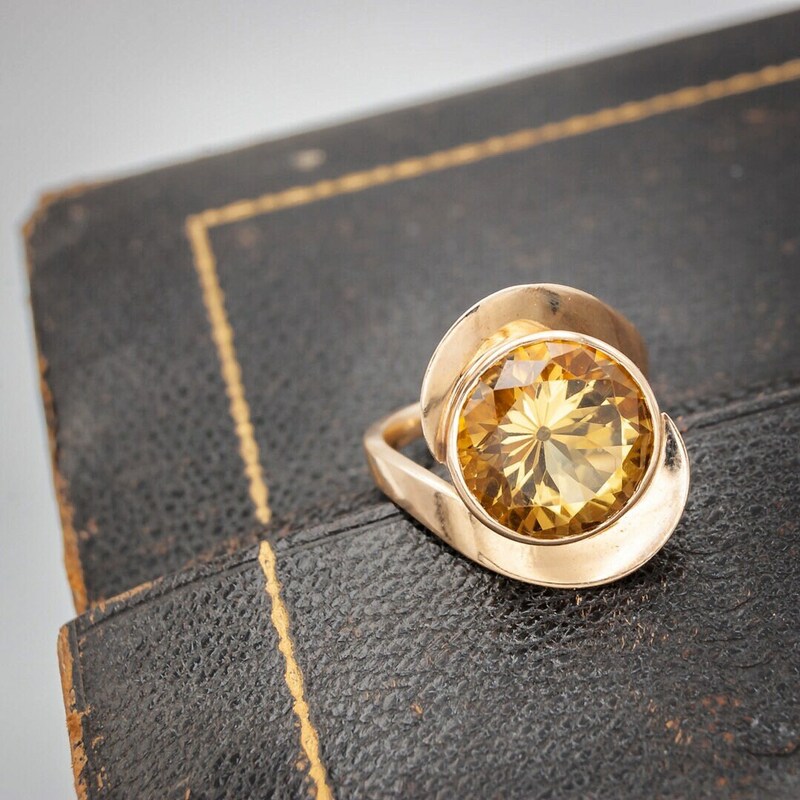 It is bezel set with a diamond cut 14 millimeter round unusually colored Golden Green Smoky Topaz. 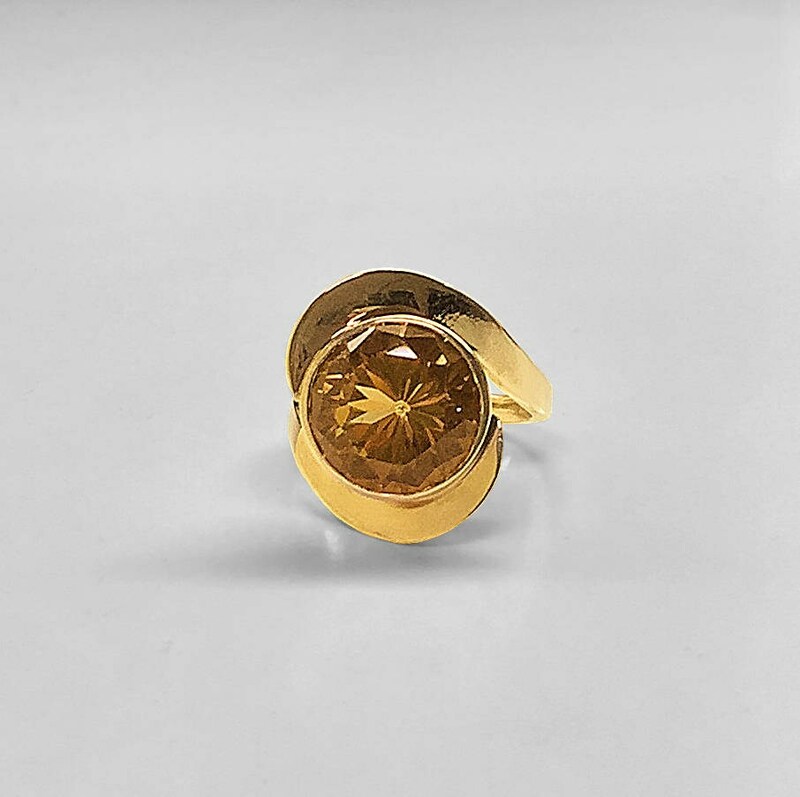 We have seen smoky topaz for over 50 years, but have rarely seen this particular shade of golden green. The stone is set in a unique heavy and tall bezel. Created in the 1950's, a perfect birthstone gift for your November born loved one. 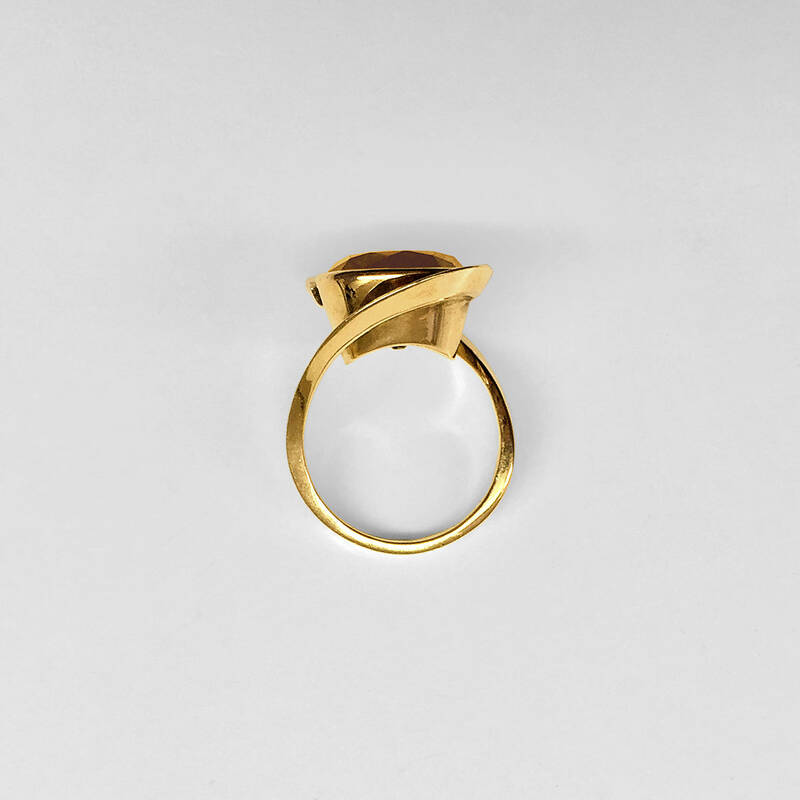 The ring is currently a size 7 but could be sized easily to fit your finger.